While each NFL team may have a star player who fans love to support, there is always a player who holds even more importance to the city. There is one special player on each team who perfectly captures everything about that city’s spirit, characteristics and ideas. This is the player who the fans are most passionate about, the person on the team they hold a special appreciation for. Here is one player from each team who embodies the city they represent. While Aaron Rodgers might be the face of the franchise, he arguably embodies Green Bay, Wisconsin less than anyone on the team. When you think of Wisconsin, the mind goes to a classic landscape of hunting, fishing, drinking beer and carrying the lunchpail to work each and every day. No man fits that description better than Bulaga. 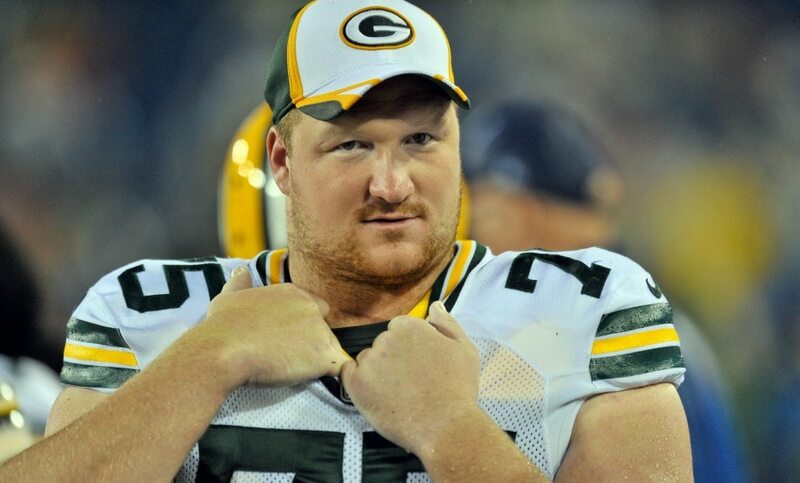 The heart of Green Bay’s offensive line for many years, the 29-year-old is everything that represents Green Bay and all the people who fill Lambeau Field every Sunday. He lives and breathes football, he has overcome numerous setbacks but keeps coming back to work every time with the same attitude. While he might have gone to the University of Iowa, Bulaga was born to live and play in Green Bay. Raised in Michigan, Lang always seemed destined to return to his roots. A tough, hard-nosed guard who has fought on the interior of the offensive line, he represents everything there is about Detroit’s blue-collar vibes. After spending some time in Green Bay, Lang saw the opportunity to return to Michigan and took it immediately. He was second on the team in penalties last season, perfectly displaying a player who isn’t afraid to get his hands dirty and see what he can get away with during a game. If Detroit’s offensive line can take a major step forward, a big reason for it will be Lang. A Pro Bowl guard when healthy, he wears the heart of Detroit on his sleeve and is ready to do whatever it takes to make the fans happy. While White’s playing career is largely known for numerous injuries, the receiver’s determination to repeatedly come back over and over again represents the heart of Chicago. This is a city built on overcoming great odds, being kicked down by life and somehow finding a way to pull itself back up and go right back to fighting and competing. The No. 7 overall pick in the 2015 NFL Draft suffered a fracture in his left leg twice and missed time with a broken shoulder blade. At this point, most people have counted White out. Yet the 26-year-old is still fighting back with a passion to give this city everything it wants. While other players might have quit after being knocked down repeatedly, White keeps dusting himself off and getting back onto the field. Not only is Smith the heart and soul of the Vikings, but he also means everything to Minneapolis. The 29-year-old safety doesn’t get a lot of attention as an unheralded star, but he does everything for this city. From his work with Big Brothers and Big Sisters through his Big Tackles program, to his charity kickball game for kids in Minneapolis and several other charity events, Smith does everything he can for this city. Yet through it all, he keeps a low profile in a city that loves its sports but often doesn’t get talked about for an amazing fan base. An unappreciated city and its lower profile defensive star, the match couldn’t be better. Dallas loves its football and the people certainly love to have things their way. It’s a city proud of its roots and Dak Prescott ties into it well. Prescott shares the mindset with his fans in Dallas. From playing hard-nosed football in Louisiana to being a star at Mississippi State, Prescott plays the style of football the fan base loves. He is also focused on football, which is what fans in the city want and love him for. Even if those around them disagree, Dak and the Cowboys’ fan base are focused on the sport they love. New York City is the place for bright lights, flash and drama. There is no player who fits the bright lights and glamour more than OBJ. From his unique hairstyle to his celebrations and theatrics on the field, it seems like he is performing on Broadway. OBJ knows how to market himself, build a name and draw a crowd under the brightest lights through entertainment. While some may consider his actions to be excessive, it perfectly vibes with NYC and makes for a partnership that will hopefully last for years to come. Washington D.C. has become a city with no filter. A place where those with the loudest voices are unafraid to let things fly, no matter how many people it angers. On the football field, Norman is the same way. The 30-year-old cornerback is not afraid to troll anyone, especially other respected peers at other positions. He also does his part for community service by helping those most in need, but Norman will always be known for speaking without a filter and that represents D.C. the most right now. Ever since the Eagles won the Super Bowl, we’ve seen even more evidence that Kelce is a Philadelphian at heart. When he isn’t suiting up for the Philadelphia faithful, he is finding new ways to make the people love him even more. From working with the Philadelphia Orchestra to dressing in the perfect attire for the Manayunk Mummers Parade, Kelce breathes Philadelphia. He is a player with a heart far larger than his body and he wears it on his sleeve every time he walks out the door. This man is Philadelphia. This man means everything to the city. That’s what happens when you commit to being a Cardinal for life and have spent 15 years with the same organization and fan base. Of course, now it becomes even more fitting. While Fitzgerald isn’t quite ready to retire, his career will come to the close in the city where retirees go to spend the best years of their lives. Phoenix provides a laid-back environment to its citizens, which is exactly why Fitzgerald has called it home for so many years. He is beloved by everyone in the area and will get to settle down when the career is over and enjoy the days to come. Some might have expected Jimmy Garoppolo, but Hollywood-esque looks and early fame aren’t quite enough to represent San Francisco. This is a city about change, action and progressive ideas for how to change the world, all while being different in the process. The veteran cornerback has been open with his criticism of the league for Colin Kaepernick being unemployed and said NFL players have to be willing to strike over contracts. He also did things a little differently this offseason by negotiating his own contract, straying from the norm of most players. 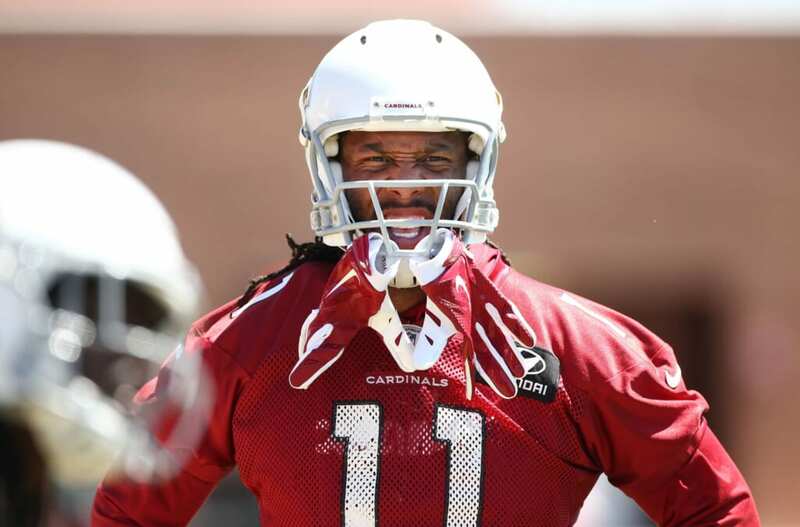 Sherman isn’t afraid to be different and he won’t let others hold him silent. That perfectly captures the people of San Francisco and their willingness to speak up, think differently and be bold. While Gurley might not be as extravagant as OBJ, the electrifying playmaker has found a home in Los Angeles. Now part of the credit has to go to Sean McVay, who proved to be just the director needed to turn Gurley into a star. The 24-year-old has not only become one of the league’s best running backs, but one of its most marketable players. From a Carl’s Jr. commercial to a hilarious Gatorade advertisement, Gurley is making a name for himself on the big stage. It should only be a matter of time before the star on the field, becomes an even bigger sensation off it. While Seattle carries some of the progressive, mindful vibes of San Francisco, it provides a more low-key atmosphere. Naturally, Baldwin fits in well as the representation of Seattle. Baldwin weighed in on social inequality and helped organize a team demonstration during the national anthem. The veteran gets involved in social issues, but often stays below the radar compared to his peers in terms of media presence. It really just vibes with the city of Seattle. Baldwin will speak out when he feels the moment is right and isn’t afraid to hold back, but he also enjoys going unnoticed and doing his own thing. This fit couldn’t be more obvious. While New Orleans is certainly known for parting, this is also a city about soul, passion and community. Since signing with the Saints, Brees has been a fixture in the community. The Drew Brees Foundation donated $400K to a local high school this offseason and the foundation is just one of the many things he has done for the city. He will spend the rest of his career in New Orleans and it stands to reason he will remain there even after he retires. 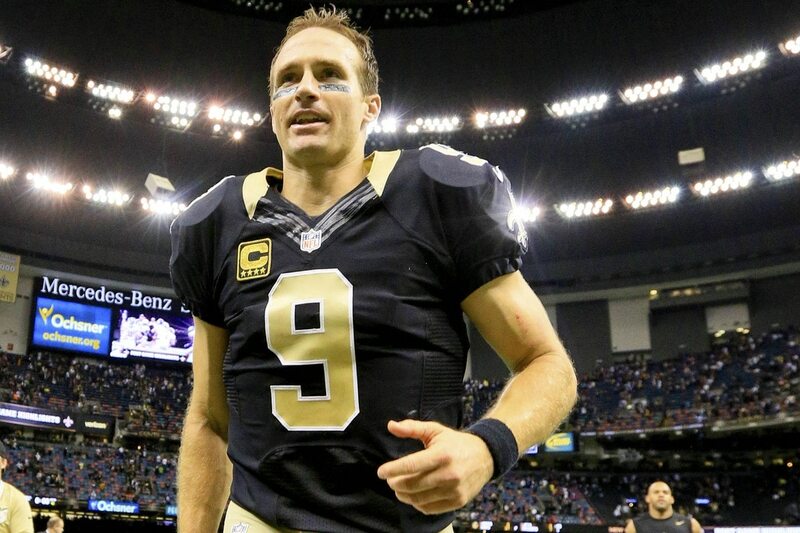 New Orleans and its people love Brees, and the overwhelming feeling of love is mutual. 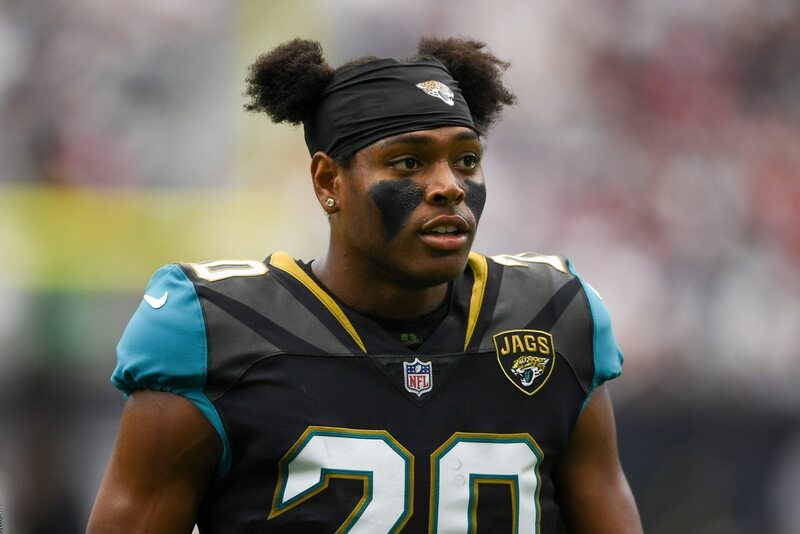 If fans don’t remember McKinley’s emotional speech after being drafted by Atlanta, it should be all the proof needed why he represents this city. Atlanta is about family ties and showing your pride, which is everything McKinley showed on that night. He isn’t afraid to make bold predictions either, like when he said he’ll record more sacks than Myles Garrett. It all comes from the heart, a player with so much passion and energy running through him that he can’t hold it in. He shared that at a children’s hospital as a rookie in a special way and has become the representation of Atlanta. The Panthers have their Superman, but Cam means so much more to the city of Charlotte. While he has always done things a bit differently, the veteran quarterback has always done everything he could to support his community. In December he went around to schools and delivered $100K in presents and donations to schools, he has made it his mission to give back to those around him who need it. Most importantly, his foundation is changing lives for future generations. He may not be the most loved NFL player, but Cam goes beyond the extra mile for every single life he can possibly help in Charlotte. Completion percentages don’t matter here, he is completing his goals to help the community he loves so much. Similar to Newton, McCoy is an example of a player who came to his city and immediately developed a deep love for the community. He has been a fixture in the community, helping those who are experiencing the same struggles he went through agreeing up. Tampa Bay has one of the highest percentages of children living in single-parent households in Florida. McCoy’s cause during the NFL’s “My Cause, My Cleats” campaign was to pay tribute to single parents. He also knows how to have fun as well, another important characteristic of the community in Tampa Bay. While he may not be from the area originally, McCoy has made it his home and found ways to help so many of those who he shares a common bond with. Born two hours away from Heinz Field, Conner then took his talent to the University of Pittsburgh and dazzled fans at the very stadium in his college years. Then cancer hit in 2015 and the city rallied around him as he fought and beat Hodgkin’s lymphoma. He overcame cancer, returned to the Panthers then heard his name called by the Steelers as a third-round pick in the 2017 NFL Draft. Pittsburgh is literally in his DNA. It is all he has known in his life. Conner was made to be a Steeler. The city loves him and the love will be even stronger when he takes over as the starting running back in 2019. When Ray Lewis retired, the proverbial torch was passed onto Suggs. Not only is the 16-year pro loved for spending his entire career in Baltimore, but he also plays a style of football that fits the city. For years, he has taken on the role as one of the NFL’s villains. The 35-year-old plays a rough style of football and is unapologetic for his physical style. In a city known for its toughness and at times brashness, Suggs found a home and knew it was a fit for him. It’s rare to see a player spend nearly two decades in one city, but it shows the love Baltimore and Suggs have for each other. When most people think of major cities in the Midwest, they’ll usually get through a lot of other cities before they reach Cincinnati. Similarly, the same thing happens if you asked NFL fans to name the league’s starting quarterbacks. Dalton and Cincinnati fly under the radar, receiving little attention nationally and often being forgotten. Plenty of it is their own fault, given there isn’t a lot to do it in the city and Dalton doesn’t do a lot for the Bengals’ offense. Yet, the two seemed to create the perfect bond. 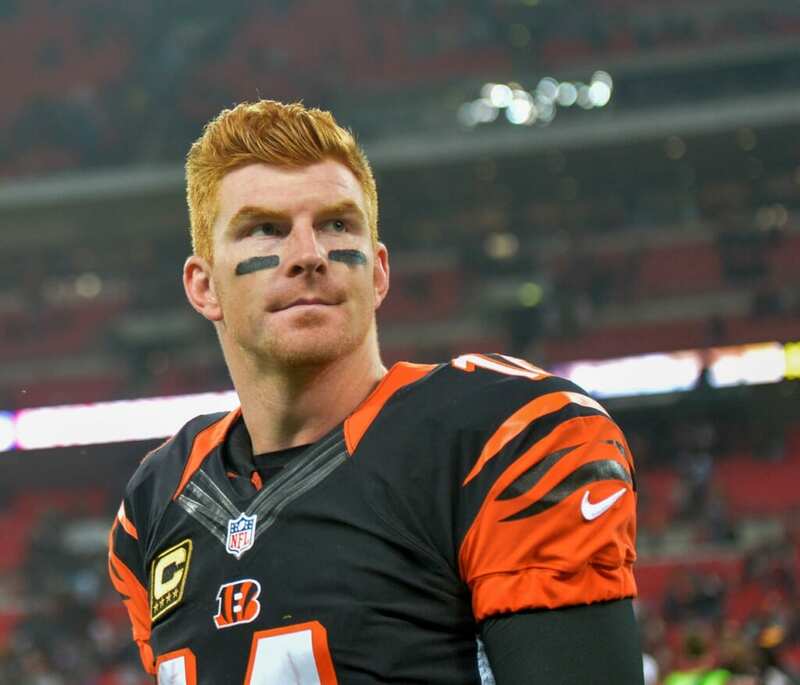 Andy and Jordan Dalton created a foundation that has helped countless children who are hospitalized and provide support for their families. While they may not be the most noticeable pairing, Dalton and Cincinnati are a nice and quiet fit. This one requires projecting, but Landry could quickly establish himself as the heart Cleveland’s fan base desperately needs after LeBron James left. While Cleveland’s sports teams have struggled to consistently win, especially the Browns, the city has some of the most passionate sports fans in the country. The city needed someone who has football running through his veins, who treats every snap like it’s the Super Bowl. Landry’s speech showed he can be the player for this city to rally around for years to come. When the Bills snapped their postseason skid and the city of Buffalo celebrated, Williams knew everything the city and fans were feeling in that moment. Williams has been a force on Buffalo’s defensive line for over a decade and developed a reputation for his athleticism, toughness and perseverance. Even more so, the 35-year-old is beloved by the community. Buffalo is a different city. It’s bitterly cold and people still manage to have fun in the snow. For both Williams and Buffalo residents, years of waiting finally produced a trip to the postseason they got to celebrate together. Players don’t get more Miami than Amendola. A city of glamour, great looks and a place to show off seemed like the perfect landing spot for a wide receiver with a modeling gig. It’s also a place where very successful people retreat to in order to relax a little and get some time under the sun. Amendola found great success with New England but seemed ready to move on from the uptight, restrictive atmosphere. Now in Miami, the veteran can relax on the beach, model and pass time playing football for the Dolphins. Fans in Boston have had plenty to celebrate in recent years and as the city celebrated, Gronkowski celebrated with it. From a family full of athletes that have embraced competitiveness and strong bonds, the 29-year-old tight end also fits into the community. Much like Gronk, Boston fans have developed a bit of a reputation for being excessive and obnoxious at times. So it should come as no surprise that Gronkowski’s entire career will take place here. 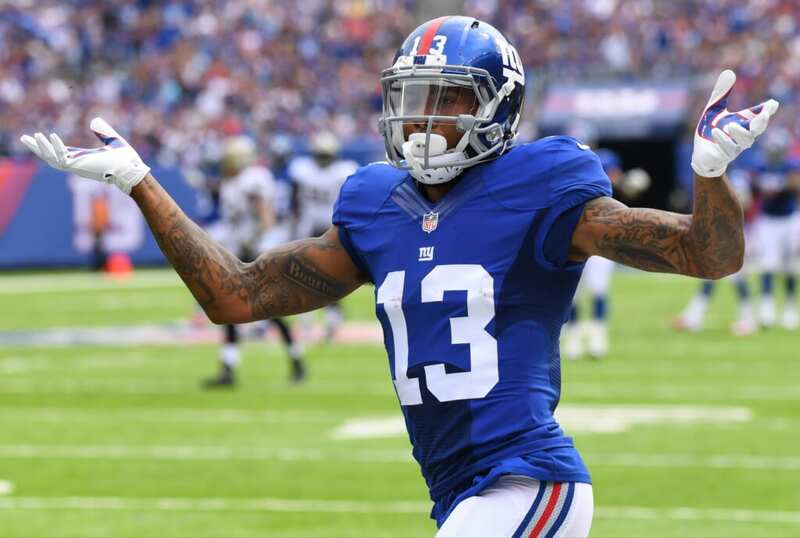 While the Giants and OBJ get most of the media attention, New York still invites the opportunity for another star to emerge. In the case of Adams, he puts on a show as the encore to OBJ. The second-year safety is known for his trash talking and he is more than willing to troll opponents on social media. He calls himself “The President” on social media and seems unafraid to put himself under the microscope. While Adams might be under the national radar right now, his personality and play were made to thrive in New York City. Miller isn’t afraid to live life without restrictions. From getting in trouble in Florida for catching a hammerhead shark to an incredible look at the Kentucky Derby. He is also known for being colorful during the holiday season. Denver has its own style as well, mixing in its own ideas of lifestyle. Whether its Rocky Mountain oysters, lots of sunshine, mountains nearby and a relaxed atmosphere, Miller embodies the Mile High City. While it may have taken Lynch a few years to return to his roots, the veteran running back is now back to bringing delight to fans in Oakland. Lynch is proud of where he comes from, being raised in a city known for overcoming great adversity. From a style perspective, Lynch’s love for contact and running over anyone who tries to bring him down also ties into his roots. Even more than that though, he loves the community and shows support for them in every way possible. There is no player who fits and defines their city in the NFL more than Lynch does Oakland. There are two sides to Los Angeles. In one, it’s about shining under the lights, making television appearances and marketing. Of course, the city also offers people the chance to relax and be themselves. Bosa is the low-key star who can thrive in Los Angeles. While other stars appear in commercials and market themselves, the 23-year-old is more than happy to sit back in solitude with trips to just relax on the beach. Much like the Rams draw all the attention, the Chargers and Bosa are happy to coast under the radar. They’ll live their best life producing on the field and relaxing on the beach off of it. While Kansas City may be a smaller ‘major’ city, the atmosphere perfectly captures a close community of people. 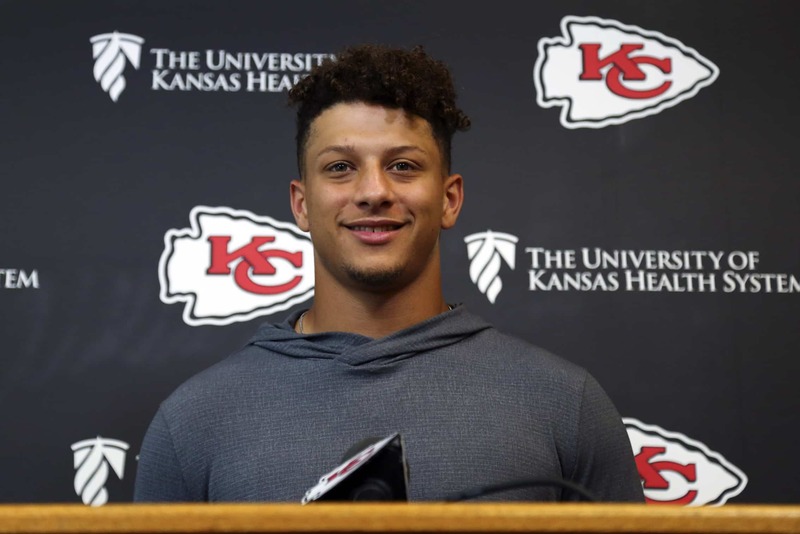 Since becoming the starter, Mahomes is doing everything he can to be one with the city. The 22-year-old is a gunslinger, but he also fits the lifestyle in Kansas City. He was made to play in front of a community with passionate, loving fans and it’s what he experienced at Texas Tech University. Now he is quickly adjusting to Kansas City, wearing jorts and having a blast. Simply put, Watt is Houston. The greatest proof came from his fundraising efforts that raised over $20 million after Houston was devastated by a hurricane. He has also spent countless time with Special Olympians and is adored by the community. As a person, Watt means everything to this community and represents everything people in Houston value in others. As a player, his work ethic, motor and intensity are everything football fans love in Texas. If he ever wants to, Watt could run away with the votes and be the city’s mayor. Jacksonville can be a bit of a wild city. While it isn’t as prominent for being as raucous and was a major city for film before Hollywood exploded. Even after all of that happened, the city still likes to maintain its reputation. This is where Ramsey comes in, one of the biggest personalities in football. He has called out a plethora of quarterbacks for being ‘trash’ or ‘overrated’. Ramsey has gone after the media, but he also knows how to have fun like when he announced his daughter’s birth. Plenty of fans across the NFL may not like him but, but fans in Jacksonville have to adore the personality. Tucked away in Indianapolis, Luck has worked his way back quietly from shoulder surgery. In any other city, it would be talked about constantly with cameras around him 24/7, that doesn’t happen in Indianapolis. Luck’s personality, someone who still owns a flip phone and rocks a vintage mustache, fits in with the city. Indianapolis is quirky and quiet, still enjoying some of the vintage elements of life while being a major city. If that doesn’t summarize Luck, nothing else will. When the Nashville Predators went on a playoff run, Lewan was there with the fans to enjoy the moment. More importantly, he embraced Nashville’s traditions and has quickly become one with the community. From throwing a catfish on the ice during an NHL game to chugging a beer out of a catfish, Lewan is taking on every tradition from the city he can. He also fits the city’s blue-collar vibe, as seen in his desire for the NFL to allow fights. Lewan is a character and has a personality that people in Nashville adore.